Neuropsychiatry is a specialist medical field that focuses on understanding brain-behaviour relationships. It deals with the cognitive, emotional, psychological and behavioural effects of neurological disease or injury to the brain. Simply Neuro Ltd is founded and headed by internationally recognised Neuropsychiatry Expert, Dr Kanu Achinivu. Based mainly in Manchester, Birmingham, Norwich and London, Simply Neuro provides specialist neuropsychiatric services to a range of clients including the legal profession, private healthcare, social service organisations and NHS bodies all over the United Kingdom. However, our coverage is nationwide and we are happy to receive referrals from any part of the UK. Dr Achinivu is a trusted Neuropsychiatrist, Brain Injury Expert and Traumatic Brain Injury Expert, who has enjoyed a great deal of success over many years in this relatively new and exciting field of medicine. The clinicians at Simply Neuro are highly trained and experienced in their respective areas of clinical expertise. Our priority is to provide excellent and timely care and treatment to our clients with the goal of improving their overall physical and mental wellbeing. Our clinical practice is characterized by innovative and evidence-based interventions with a strong patient-centered therapeutic approach, which aims to empower patients and promotes independence, recovery and wellbeing. Dr Achinivu acts as an Expert Witness in this field. Dr Achinivu is a trusted Neuropsychiatrist providing private neuropsychiatric services. Dr Achinivu regularly provides teaching and training to various groups. At Simply Neuro Limited we are able to provide bespoke community packages. Please feel free to familiarise yourself with what we do by browsing through the videos provided here, or give us a call today and have a personal chat with one of our friendly professional clinicians. Case Vignette. Brain Injury Can Make One Better! 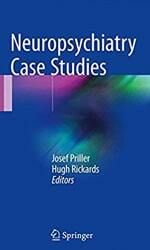 Dr Kanu Achinivu contributed to chapters 13 and 36 in the book Neuropsychiatry Case Studies. This can be purchased on Amazon. Neuroprotective Benefits of Antidepressants in Multiple Sclerosis: Are We Missing the Mark?